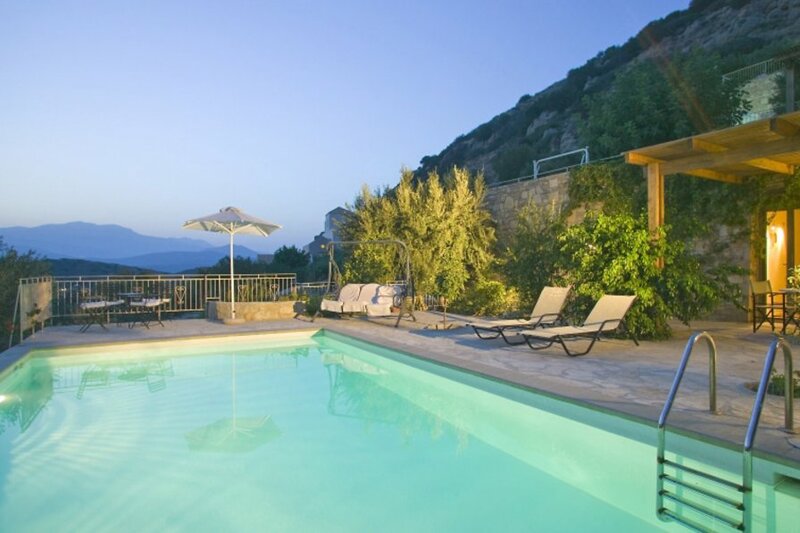 This 1-bedroom villa for up to 2 guests is located in Agios Nikolaos and has a private swimming pool. Alkistis Istron 1 km from Istron Village: Very modern, comfortable villa Alkistis Istron, terraced, built in 2005. 120 m from the beach, direct access to the beach. Private: courtyard, swimming pool with privacy (36 m2, 01.05.-31.10.). Tennis, patio, terrace, barbecue. In the complex: reception, restaurant, bar, breakfast room with TV, WiFi, sun terrace, air conditioning, burglar alarm system, washing machine, tumble dryer. Linen change 2 times per week. Towel change 2 times per week. Cook on request (extra). Breakfast on request (extra). Parking at the house. Shop 1 km, supermarket 1 km, shopping centre 1 km, restaurant, bar, cafe 100 m. Please note: car-free holiday complex. Suitable for families, baby equipment on request. Guarded residence. The complex has another 2 houses for rent.